Does My Homeowner Insurance Policy Cover Flood Damage? According to the Federal Emergency Management Agency (FEMA), flooding causes billions of dollars of property damage in the United States each year. If you are like many homeowners, however, you may be unaware that the standard Homeowner Insurance policy you buy does not cover flood losses. You may believe that you have a low risk to this peril, but FEMA reports that approximately 33 percent of all flood claims occur in communities in which flooding is deemed to be a low-to-moderate risk. So do you really need a separate flood policy? The following tips and ideas may prove helpful in answering this question. Find out if you live in a community that participates in the National Flood Insurance Program (NFIP), a prerequisite to qualify for Flood Insurance. Participating communities must agree to adopt and enforce certain floodplain management regulations, including building construction and zoning laws that minimize the risks of flood damage. Go to www.floodsmart.gov and select "What's My Flood Risk". Enter your home address, and this website will show you the flood map for your area to help you determine your flood risk. 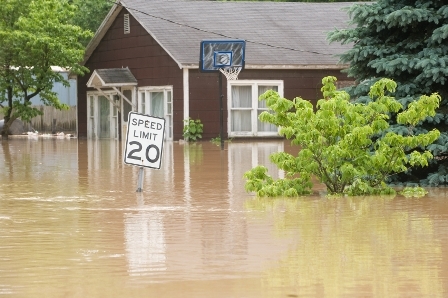 Consider purchasing Flood Insurance even if you are in a low-to-moderate-risk community. In these areas, you may be eligible for the Preferred Risk Policy, with low annual premiums including coverage for your personal property. Note that a flood policy does not take effect until 30 days after you purchase the coverage. Thus, trying to purchase coverage after the local meteorologist announces a flood alert for your community won't work. Please note that Western National does not sell Flood Insurance.